If you are considering a wedding in Cabo, don’t try to do all of the planning on your own. A Cabo wedding planner will prove quite helpful throughout the planning process. Take a moment to think of everything involved in a wedding. You need accommodations, food, formal attire, music and so much more. Don’t burden yourself with managing all these details. Let’s take a look at why a Cabo wedding planner is so important to pulling off a flawless wedding. Mexico has more than its fair share of vendor options, resorts, beaches and things to do. This is especially true of Cabo. If you try to process all of the available options, select what you believe to be the best, make reservations and time the whole thing just right, you might have a nervous breakdown. It is easy to succumb to information overload when planning a wedding, especially one in Cabo. This is especially true for those who have not visited the area in the past. 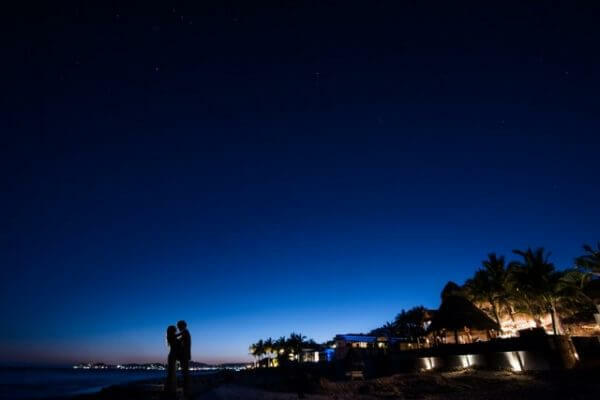 A Cabo wedding planner will make the planning process quite easy. She will do all the work while you sit back, relax and dream about how beautiful your Cabo wedding will be. A wedding involves a seemingly endless number of people and niceties. From the music to the photographers, vendors, food, receipts, confirmation calls and beyond, there is simply too much to handle! Leave this work to the professionals so you can focus on having the time of your life rather than mulling over all the minor details of the event. A wedding planner can help you decide which areas to spend and save on, depending on your vision. Wedding planners have connections with local service providers and know which ones provide the best services at a fair cost. They are industry insiders that have mastered the art of strategically budgeting all details of a wedding to create each bride’s dream experience. If you work, have a child or are simply a busy person, the last thing you need to worry about is all the details of your wedding. Planning the entire event can take hundreds of hours. Your time is too valuable to spend on these tasks. 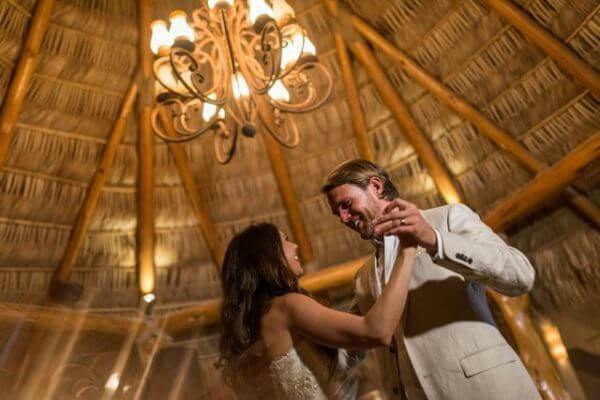 Hire a Cabo wedding planner and you will maximize your free time. Wouldn’t you rather enjoy some “me time”, time with your child or stay focused on work rather than handle the mundane aspects of a wedding? A wedding planner will do all the research, accommodate your desires, confirm services, obtain receipts and make sure the wedding is pulled off without a hitch. A Cabo wedding planner knows all the ins and outs of the local service providers. She’ll hook you up with the best so you don’t have to spend your valuable time conducting researching and hoping you pick right. Though you might have a general idea as to what you want your wedding to be like, it doesn’t hurt to get a second opinion. A Cabo wedding planner will offer unique insight that improves your wedding in unexpected ways. Many of these suggestions could help a bride decide what is reasonable in her budget. Alternatively, if you are unsure what you want from your Cabo wedding, sit down with a wedding planner for an extensive consultation. They will help you shape the perfect day that proves memorable for years to come. Wouldn’t it be nice to tell someone how much you’d like to spend on your wedding and exactly what you desire then have them plan and coordinate it exactly as you envision? Hire a Cabo wedding planner to gain a better understanding of what a wedding will cost according to your vision, specifications, and number of guests. This is the magic a Cabo wedding planner can work for you. Suggest how much you’d like to spend on each category, explain what you want out of your wedding and relax while it comes to fruition. This way, you won’t have to worry about planning all the details and keeping track of the spending along the way. You can rest easy knowing your specifications will be met. You might know exactly what you want your wedding day to be like yet you probably aren’t sure how much time should be spent on each aspect of the event. A wedding planner takes your vision and builds a realistic timeline that is provided to vendors and other service providers. This way, everyone involved in the wedding is on the same page. 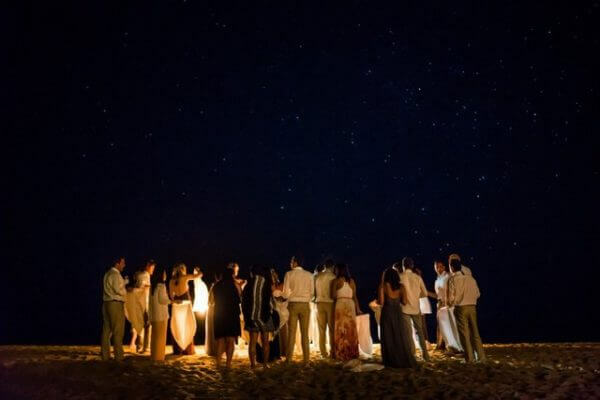 A Cabo wedding planner will be sure to help you connect all of the dots. Destination weddings are somewhat challenging in that you do not live near the location. A wedding planner will prove indispensable to your destination wedding. She will organize every aspect of the wedding, piecing together this gigantic jigsaw puzzle to perfection. After all, your Cabo wedding planner knows the area better than you do and speaks the local language (which is essential to communicate with all vendors and vendor’s employees, especially on the big day). If you have never planned a wedding, you might not know how many times the venue must be measured for decorations and tables, etc. You may have never had to test cake or food from five different vendors until you found the perfect one. You may not be prepared to spend three days at the wedding and reception venue set up for the big day. These are details that make hiring a Cabo wedding planner invaluable. They answer every call, plan every detail, assure that those details are coordinated and implemented perfectly, and communicate any and all questions or concerns for you leading up to your wedding day. Imagine reaping the benefits of the perfect wedding, without having to deal with the stressful day-to-day conversations and planning required of a bride for 6-18 months before the big day! It is possible with a Cabo wedding planner. This entry was posted in DESTINATION WEDDINGS, EVENT PLANNING, PRIVATE EVENTS, WEDDINGS VENUES and tagged Destination Event Planner.